Indulge in culinary experiences unique to our hill country home of hospitality. The historic atmosphere of our restored colonial mansion serves as a charming setting to indulge in unique dining experiences from the warmth of our hospitality. 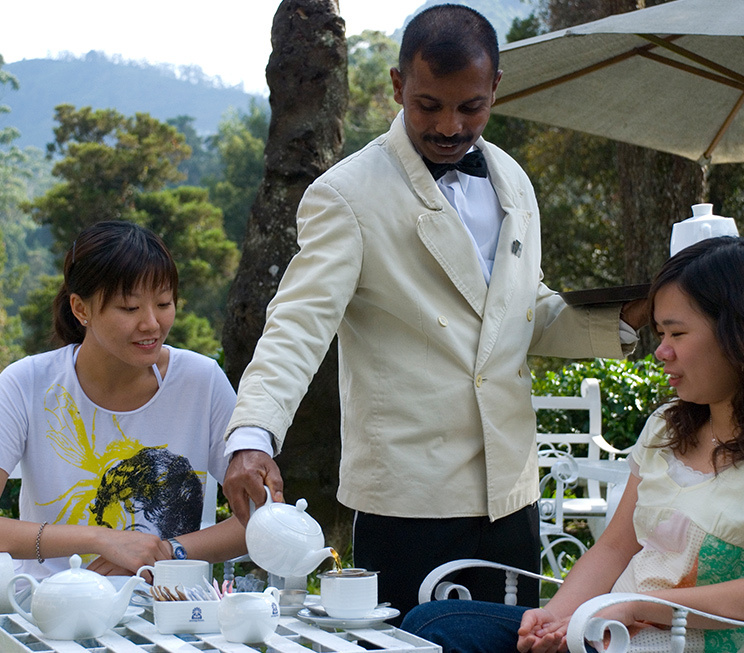 At Jetwing St. Andrew’s, choose from four Signature Dining experiences including a classic English High Tea on our terrace or at the lobby, in-room dining for your absolute privacy, or alfresco dining in the mountain air, with the option of a BBQ upon the lawn of our manicured gardens. 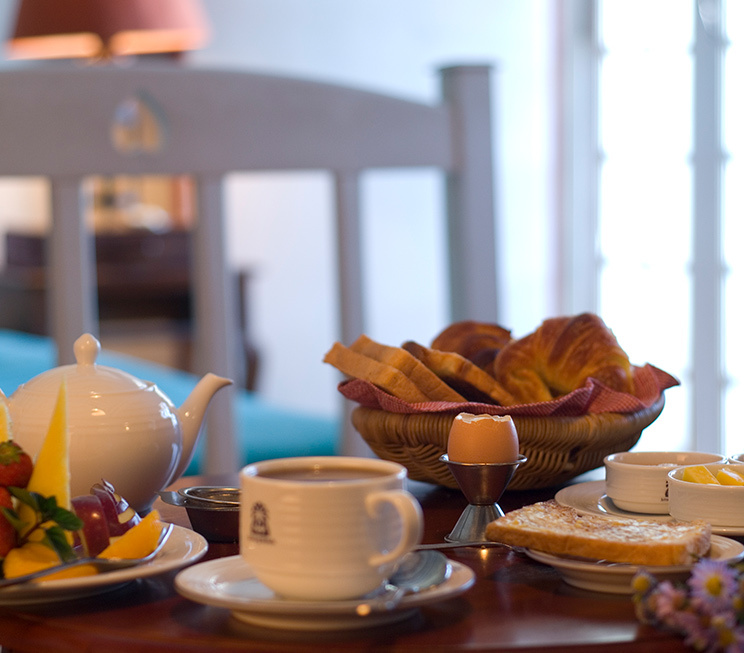 Start your day with a sparkling accompaniment to our hearty upcountry breakfast offerings, in a dining experience designed for your absolute indulgence in our central highlands. Enjoy the luxuries of this traditional English delight in our nostalgic colonial home, amidst the wispy mountain air on our terrace, or the comforting warmth of our lobby. 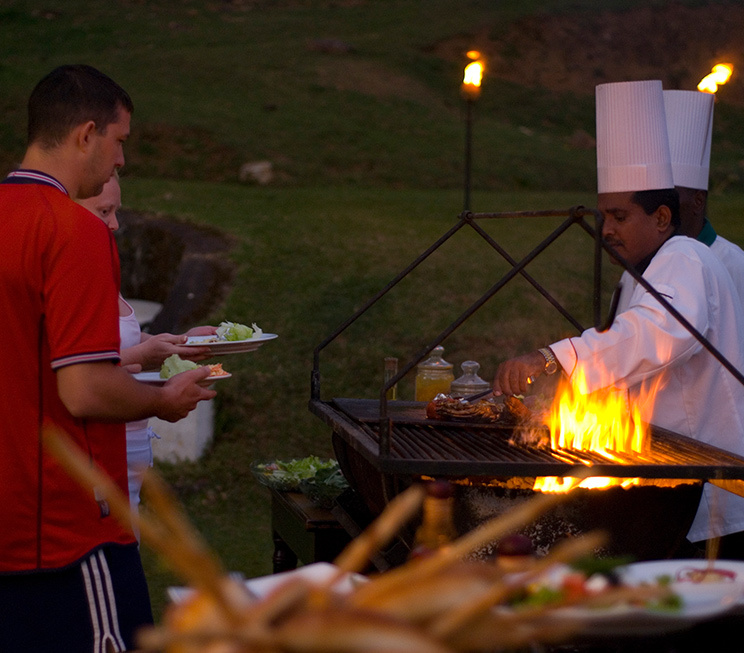 Grill up a feast of meats in our lush upcountry gardens, keeping you warm with a flavourful BBQ in the cool climes of the picturesque mountains of Sri Lanka. 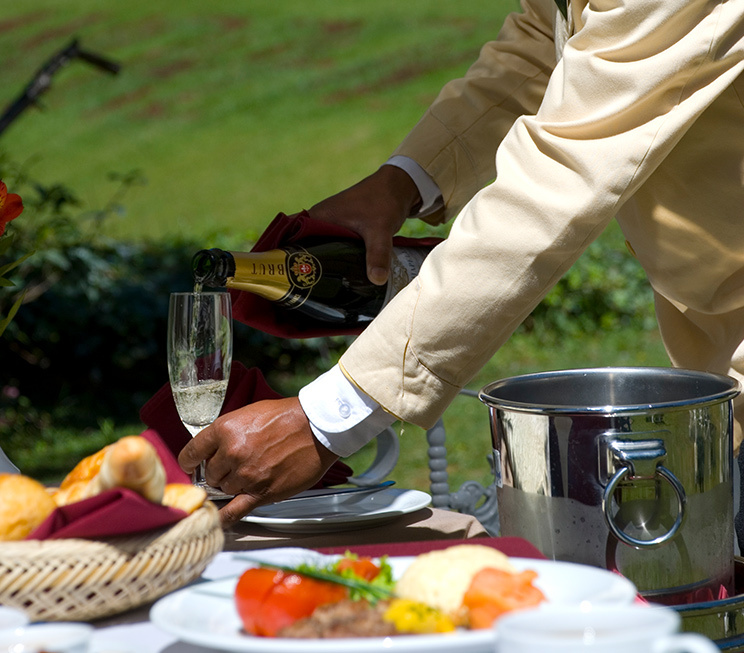 Savour your meals amidst the crisp, fresh air of our central highlands with an exquisite range of culinary delights best enjoyed outdoors at Jetwing St. Andrew’s. 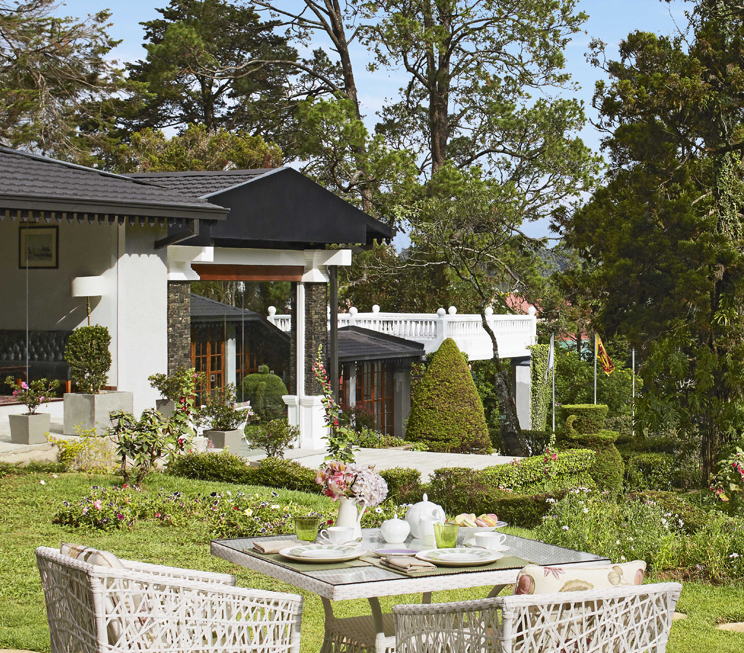 Dine from the privacy and comfort of your own bedchamber at our hill country home of Sri Lankan hospitality, in a peaceful setting that brings out the best in our meals.